Here’s a recap of what I enjoyed last week! Sunday morning: bacon (!!! 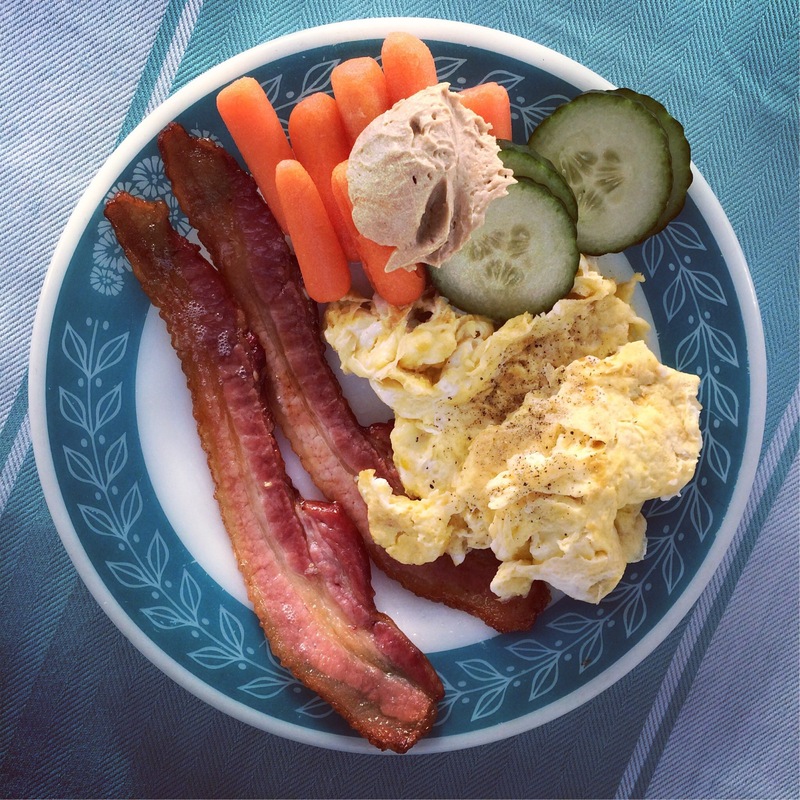 ), eggs, veggies and Sunshine Sauce to dip! Sunday lunch: Andrew and I wanted to enjoy the weather outside, so we hit one of the only places in town with (open) outdoor eating: Wallenwein’s Hotel. 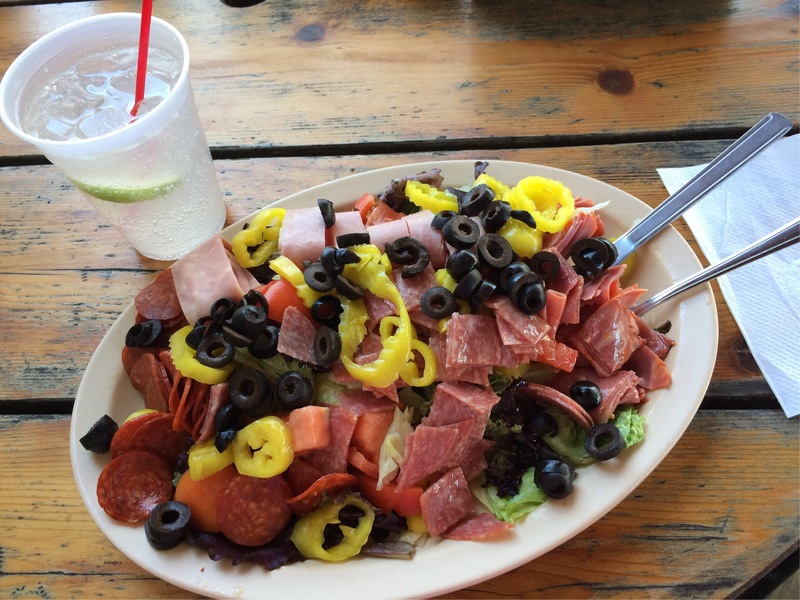 I chose an antipasti salad (without cheese) and was able to make the leftovers into two lunches! Seltzer and lime to drink. 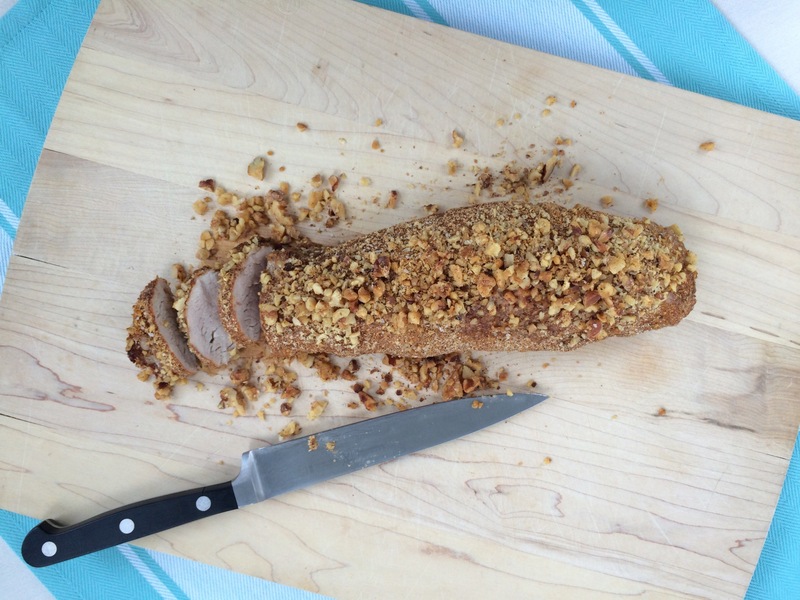 Sunday night’s pork tenderloin and salad was a HUGE home run with Andrew. 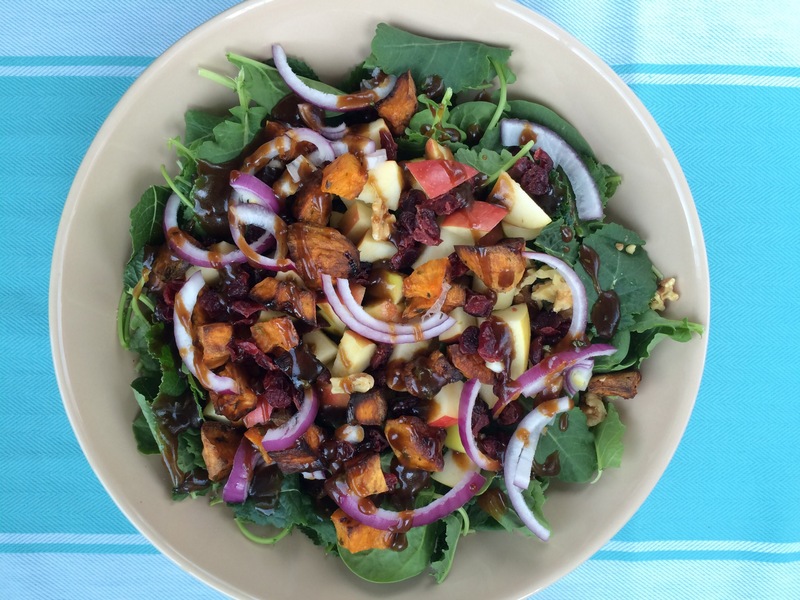 Seasoned pork topped wit walnuts, kale and spinach greens with roasted sweet potato, apple, red onion and homemade balsamic dressing. Monday breakfast: leftovers! 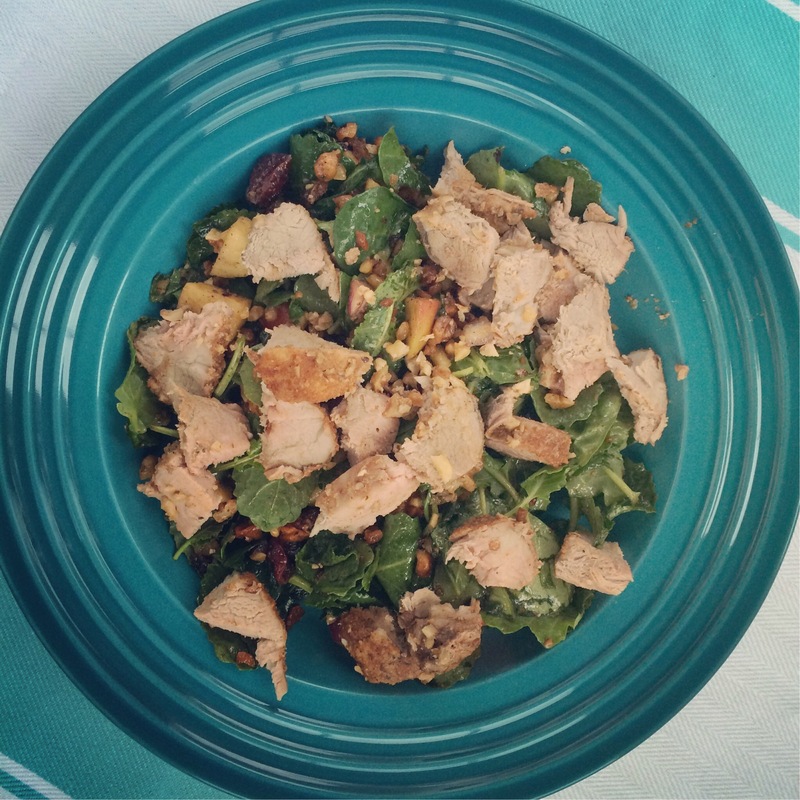 Pork on salad – yum! 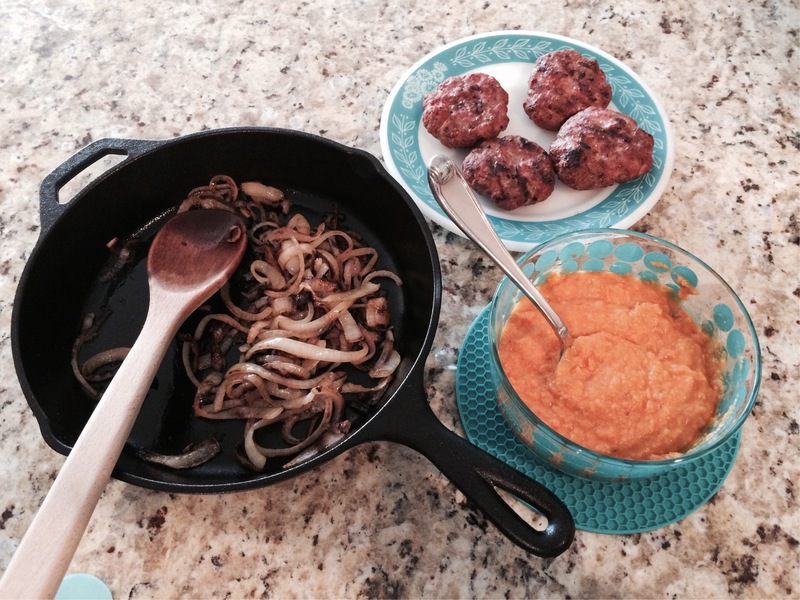 Monday night dinner: homemade bangers (seasoned sausage patties instead of store-bought links), mashed sweet potatoes with a little coconut milk and caramelized onions. OMG. 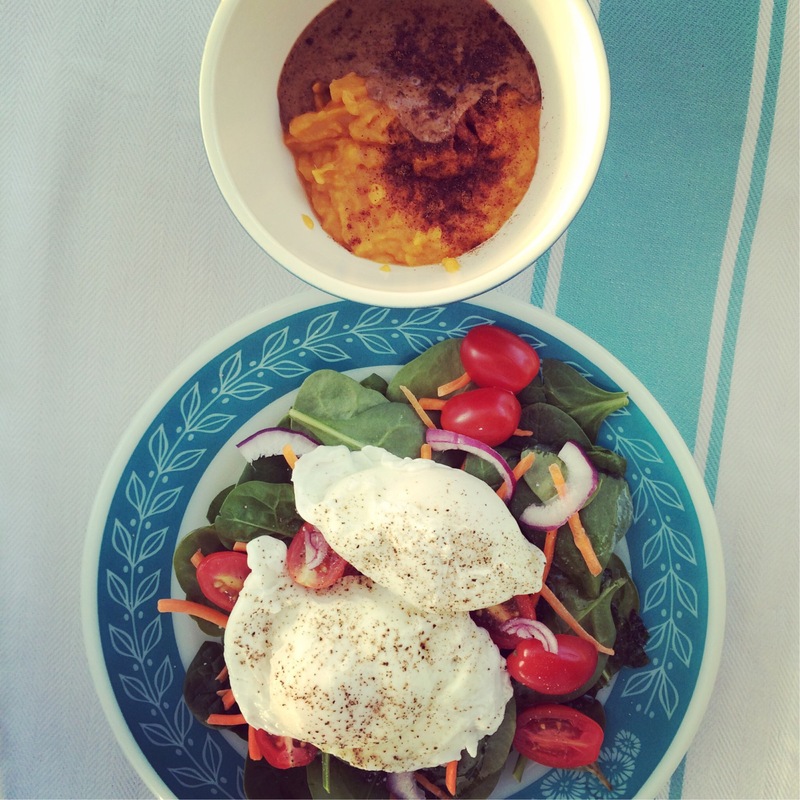 Tuesday breakfast: salad with two poached eggs and leftover mashed sweet potatoes with almond butter. I *almost* felt guilty eating the mash and almond butter because it tasted like DESSERT. Wednesday night dinner: taco salad! Browned beef over greens with homemade pico de gallo, black olives, green onions, avocado and pickled jalapeños. Fried plantains on the side! 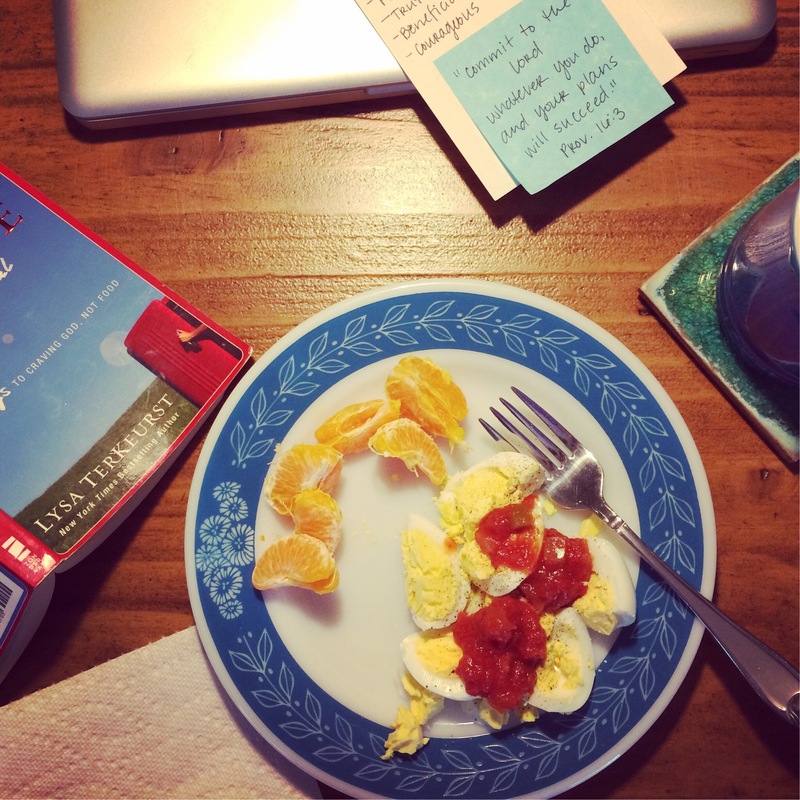 Thursday breakfast: a quick clementine and two hard-boiled eggs. Not pictured: Friday night dinner out at Riley Street Station. Chicken Marsala with green beans and baked potato. Delicious. 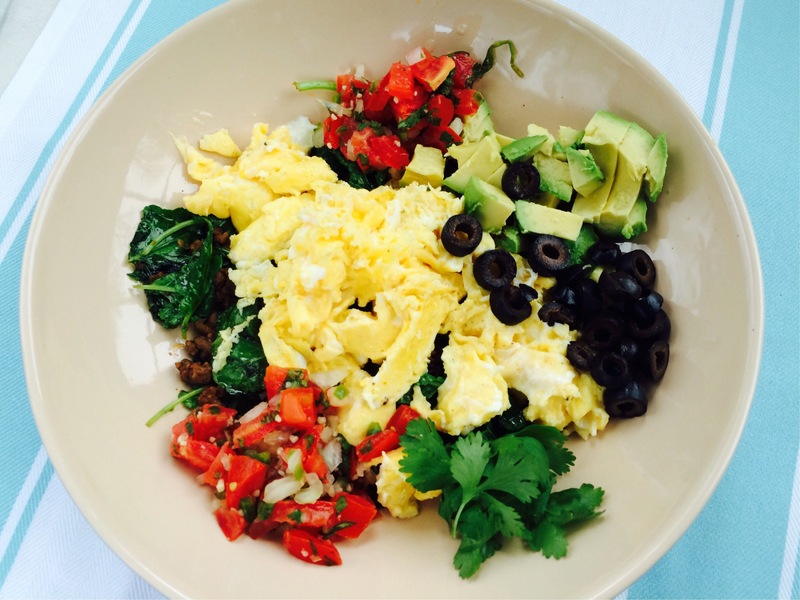 Saturday morning breakfast: leftover taco meat sautéed with greens, topped with scrambled eggs and other taco fixin’s. Saturday night dinner: Fiery jalapeño burgers with sweet potato ‘buns’ and homemade (baked) French fries and broccoli. 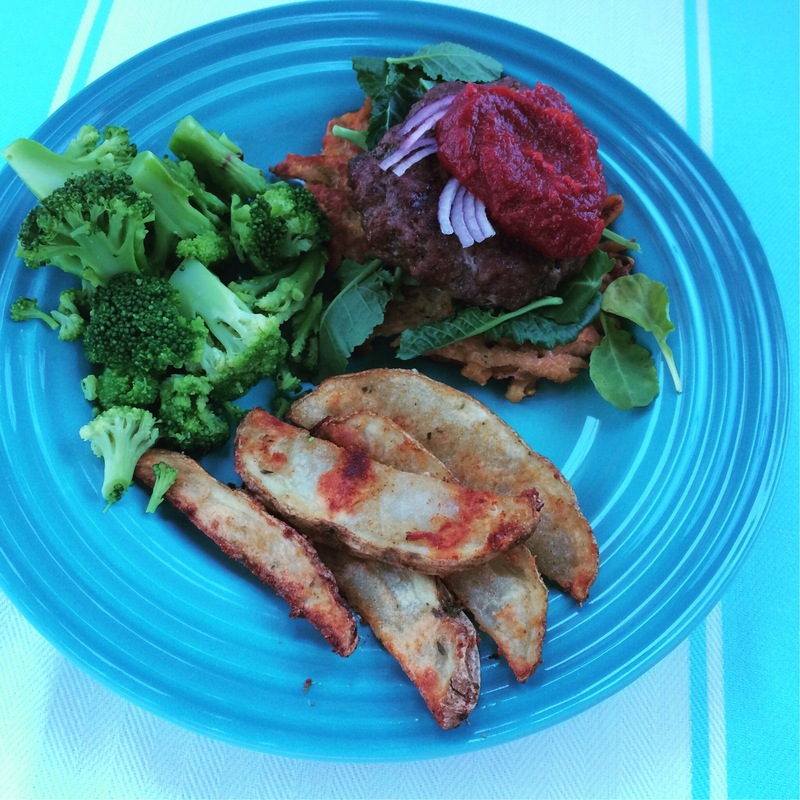 Burger and bun recipe from Practical Paleo. Later that night, Andrew and I decided to grab a Redbox movie and some snacks. He’s totally abandoned the Whole30, but I stuck to my guns and was pleasantly surprised at what kind of ‘compliant’ snack items I could find. I’ve been dying to have an excuse to spend $5 on a bag of seasoned pumpkin seeds to top salads, so I chose the spicy version, which didn’t have added sugar. 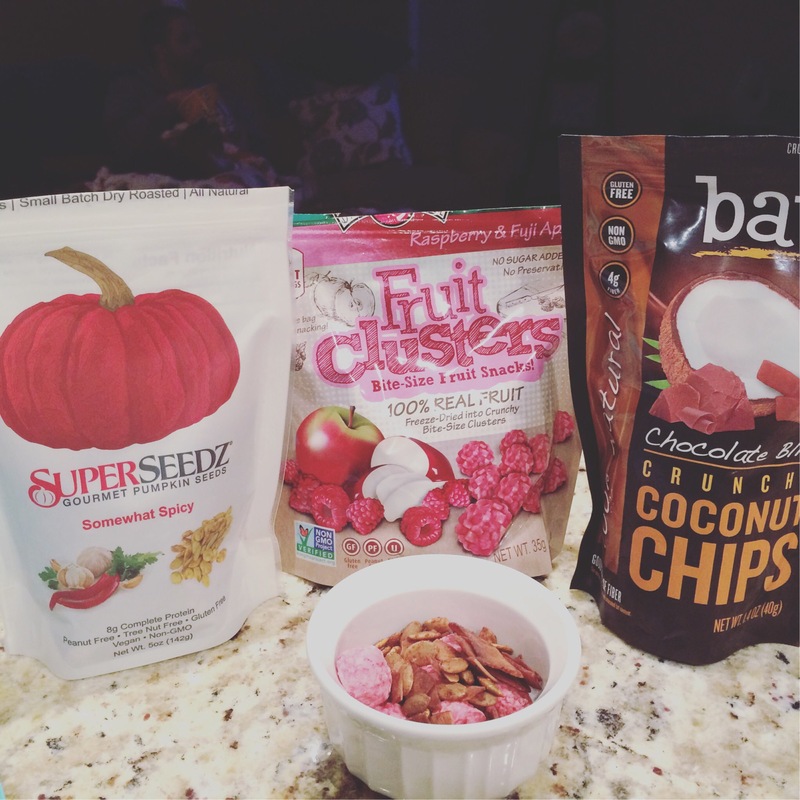 The freeze-dried fruit clusters seemed almost too ‘candy-like’ to me, so I only had a couple. I was also able to find roasted coconut flakes dusted with cocoa! No added sugar or oils! 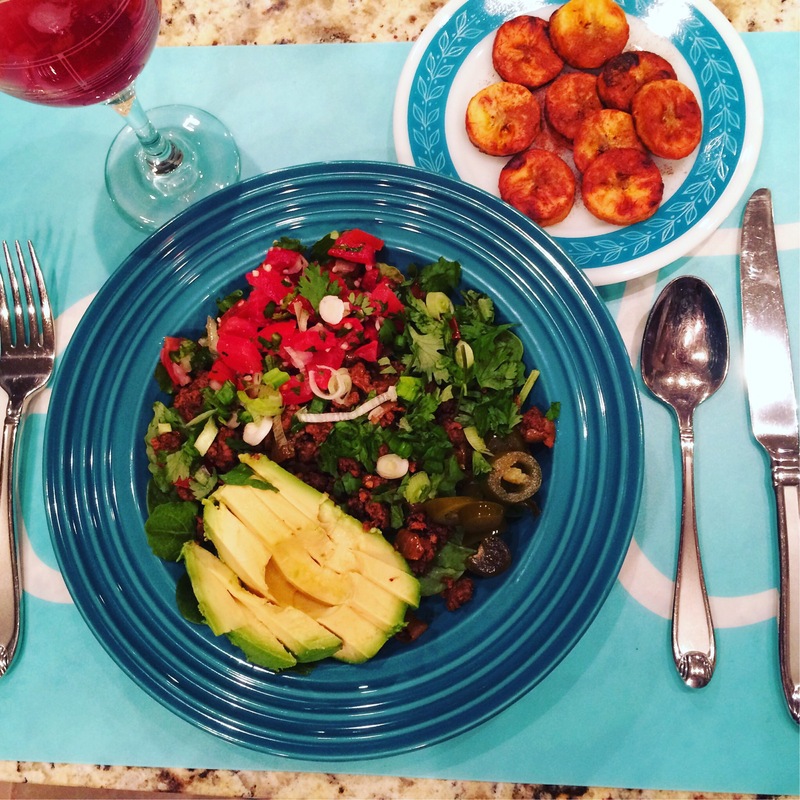 Posted on April 25, 2016 April 25, 2016 by thehealthypineapplePosted in #fabfoodTagged avocado, bacon, plantains, sunshine sauce, taco salad, Whole30.